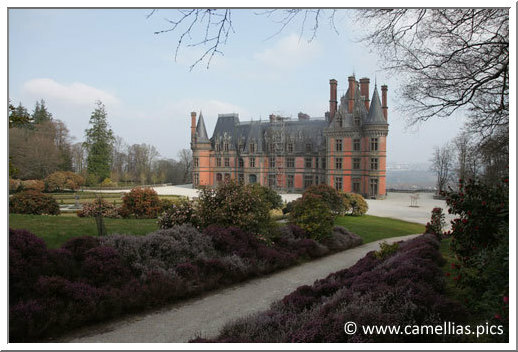 The Domaine de Trévarez is initially a 85 hectares park with its castle. 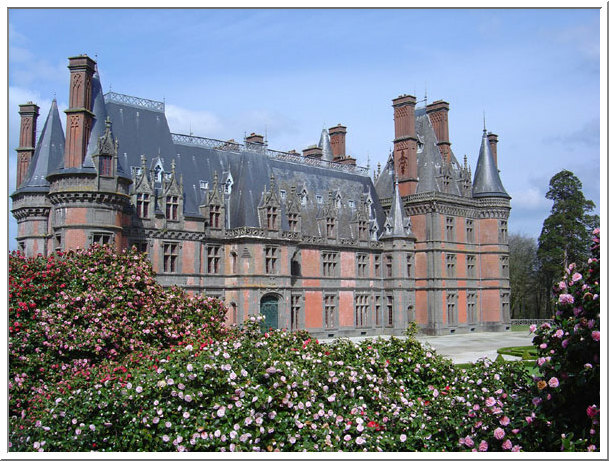 It is four and a half hour of TGV from Paris, to Quimper, then thirty minutes of driving. 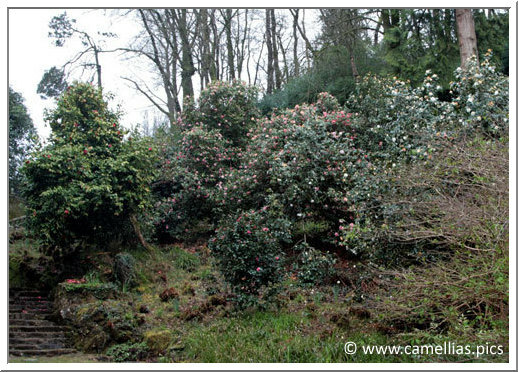 It has a remarkable collection of more than 650 varieties of camellias, some of them very rare and very old. 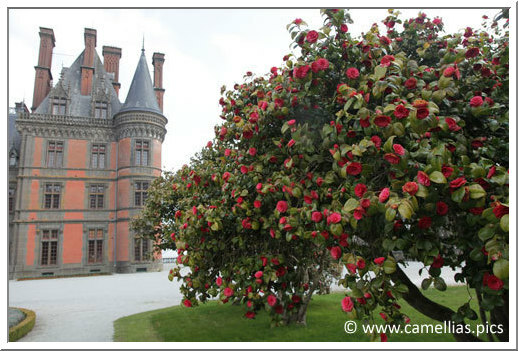 The castle was built at the end of the 19th century and seriously damaged at the end of the second world war. 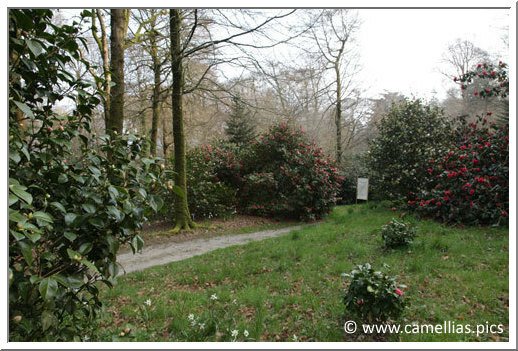 It is repurchased by the general council of the Finistere in 1968, which restores and enriches parks and castles. 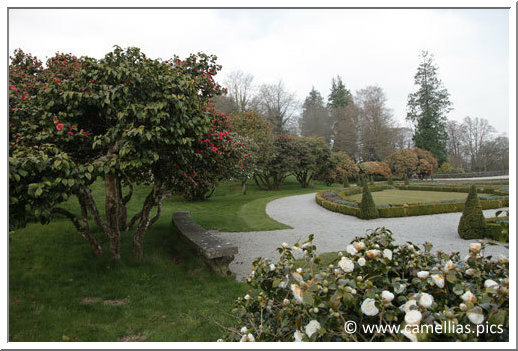 The park received in 2006 on behalf of the Ministry of Culture and Communication the label remarkable Garden. 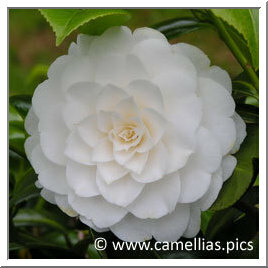 The ICS certified it as one of the 30 "International Camellia Garden of Excellence". 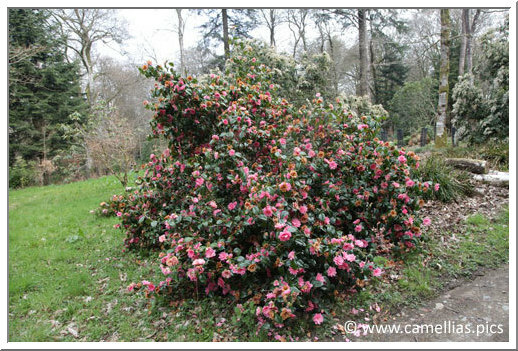 Here, one of the very old camellias which composes the collection of the Domaine. 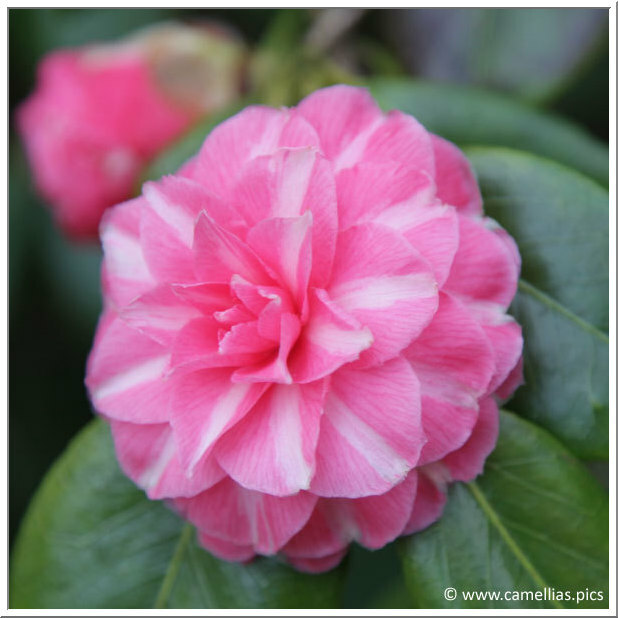 Today, it is an extremely rare camellia japonica , 'Contessa Calini'. 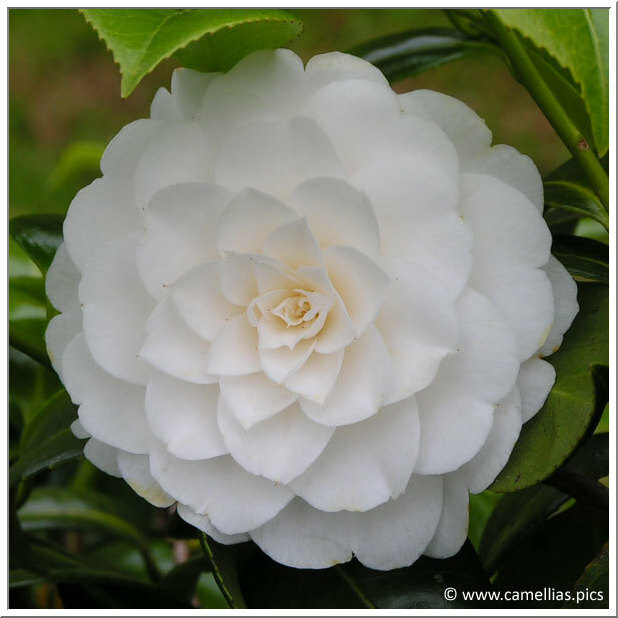 It is centenary and belongs to the remarkable Camellias of the collection (some of them are centenaries,see below). 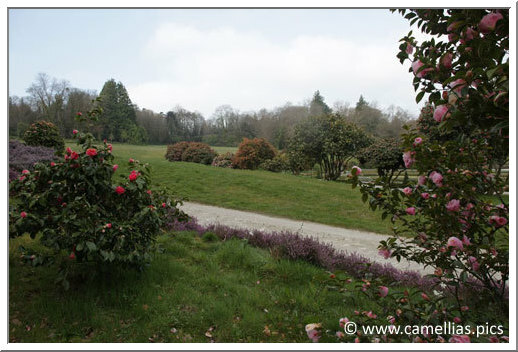 Here some photographs of the pleasant walk in the Domaine. 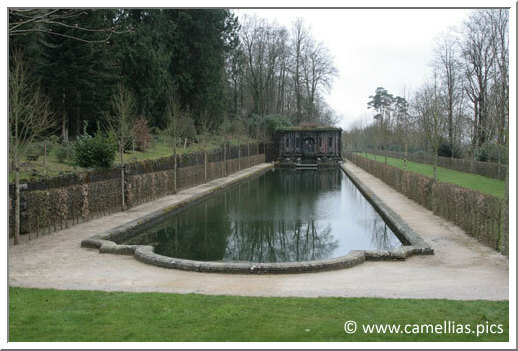 Here, the "Bassin de la Chasse". 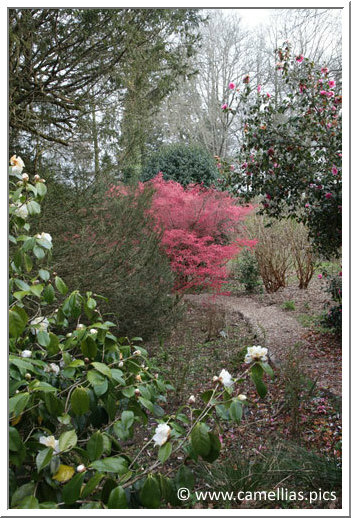 Another place called the "Cascades". 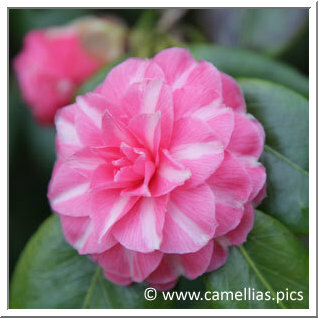 The Camellias flowering extends from November to April. 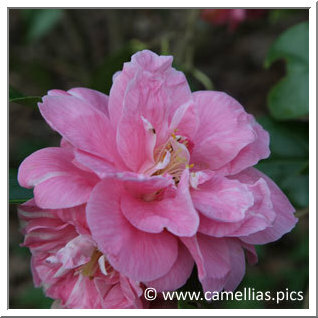 The collection includes sasanqua, japonica, reticulata as well as Williamsii hybrids, planted more recently. 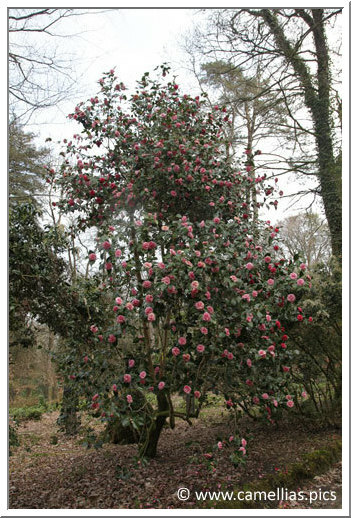 The Domaine being exposed to north, flowering is optimum in March, in particular at the moment of the Festival of Camellia. 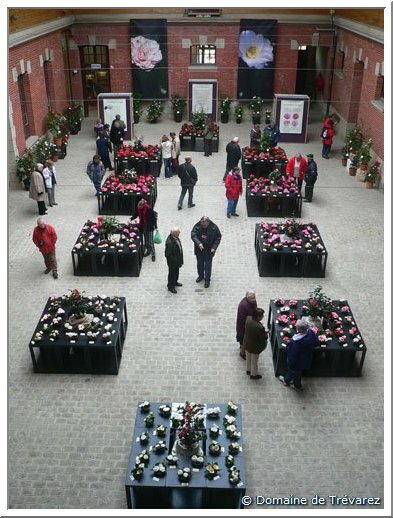 On the right, the flower exposition during the festival in March 2007. 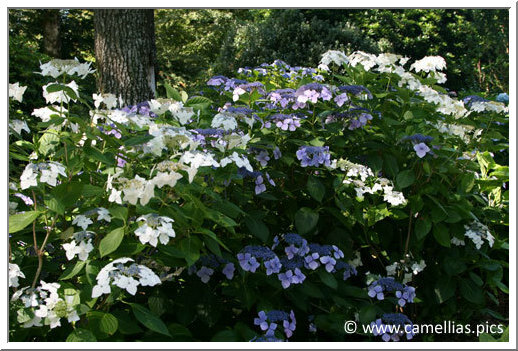 From July to September you can admire the hydrangea collection. 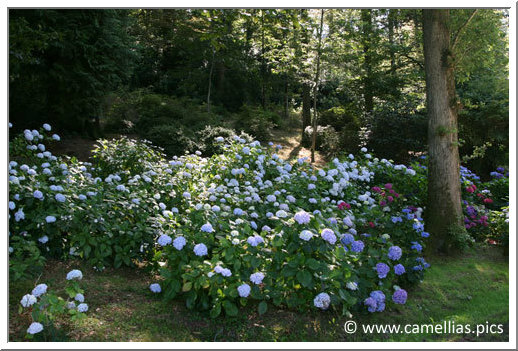 The Domain organise a festival for the hydrangeas, as for the camellias. 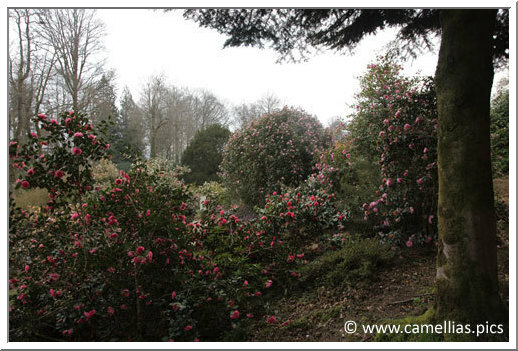 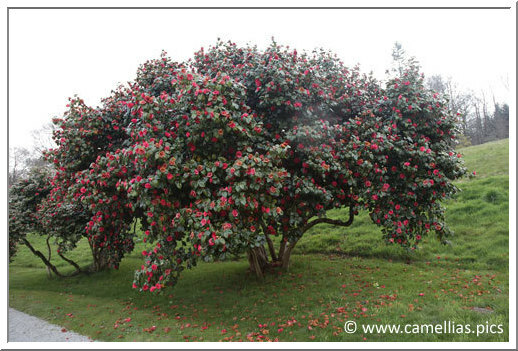 Moreover, the Domaine offers, throughout the year, animations about Camellias. 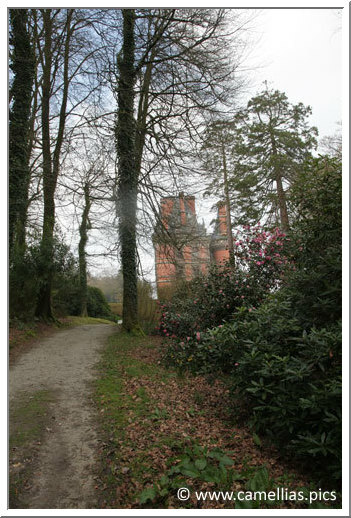 EPCC "Chemins du patrimoine en Finistère"